Please register your vehicle here. 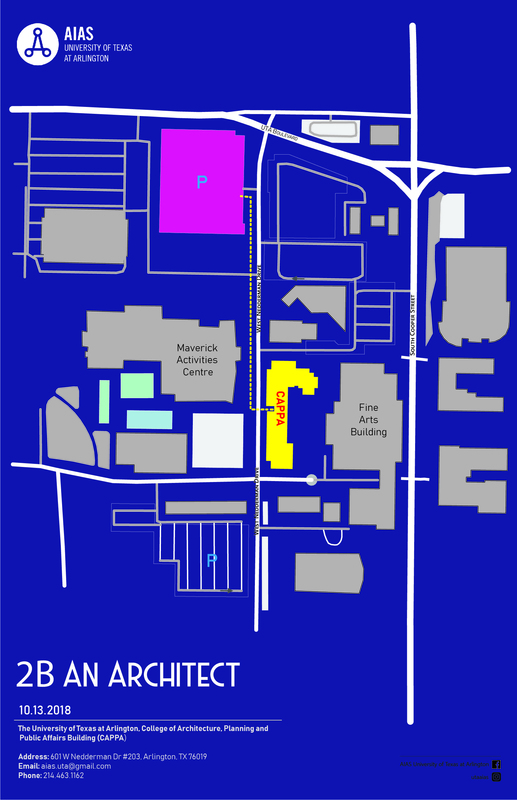 Parking map, and directions between parking garage and exact event venue can be found in the Map below. 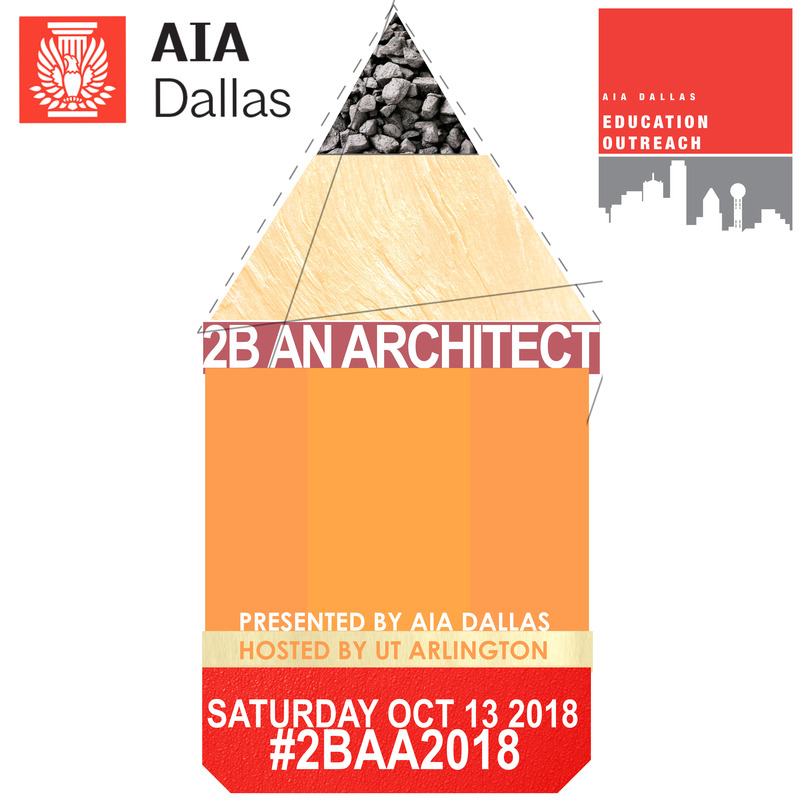 The AIA Dallas Education Outreach Committee would like to invite all high school sophomores through seniors to our annual 2B an Architect event. The event will include a college fair comprised of practicing architects, interns, current students, and professors from local universities. Students, parents, teachers, and counselors will be able to ask questions, receive first-hand information on what it takes to become an architect and learn the specifics on how each university architectural program is uniquely different. Students will also gain knowledge on the path an architecture student takes upon graduating college, internship development requirements, the licensing process, the professional practice, and organizations that support it. This is a FREE event for students and parents, but online registration is required. Representatives or alumni from participating universities will be present to answer questions and provide general information. Spanish translators will also be present. Universities who were represented at last year’s event include: University of Texas at Arlington, University of Texas at Austin, Texas Tech University, Prairie View A&M, Georgia Tech, University of Oklahoma, Oklahoma State University, University of Kansas, Kansas State, Washington University in St. Louis, University of Arkansas, University of Illinois (U-C), Louisiana State University, and Louisiana Tech University.